President of the Nigeria Wrestling Federation (NWF) Daniel Igali has boasted that Port Harcourt will host the ‘best ever’ African Senior Wrestling Championships in 2018. The Rivers State capital was in August awarded the hosting right-for the first time by a Nigerian City-to stage the tournament slated for 7th to 11th February, 2018 in the Garden City. In a chat with www.busybuddiesng.com, the vastly-traveled administrator expressed confidence that Port Harcourt will be ready to stage a tournament that will go down in history as the most organized. 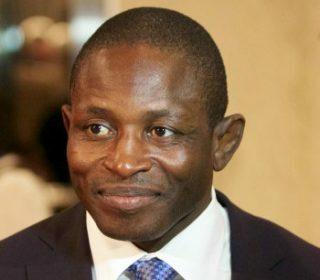 “I can tell you without any fear of equivocation based on my experiences; I have traveled to the North, the South, the East and now, the Western part of Africa and I am sure the competition we will put together in 2018 will be the best ever organized African Championships,” the Sydney 2000 Olympic gold-medalist stated. The African Wrestling Championships is an annual event that showcases the best of African Wrestling in the Senior, Junior and Cadet categories of wrestling in the Freestyle, Female Wrestling and Greco-Roman Styles. It will be held in Nigeria for the first time since its inception 42 years ago.